With the recent approval of the repealing of Net Neutrality by the FCC board, Northside has now offered up high-speed internet that can also bypass the CPS firewall and allow users access to blocked websites. The Northside Administration plans to roll out the new internet service later next month and it is said to cost around $29.99 per month. All current free internet users will be capped on their usage for up to 5 GB per month. A new Northside mobile app is currently in development and will contain in-app microtransactions for purchasing additional data. This latest piece of news has caused quite a stir within the Northside student body. It has been met with great outrage and has already began to spread rapidly with students protesting the new policy, posting disapproving paragraphs on Facebook and Tumblr. One student, Kenneth Larson, Adv. 902, said “Northside’s attempt to improve internet access only serves as an asinine, quick-witted, ponzi-scheme attempting to interpolate more students into the educational apparatus that is CPS and is a mockery of the American people everywhere.” Many students fear that this new service may have catastrophic backfiring effects. Some predict that students will form rebellious organizations to fight against the controversial system. The new policy comes off the back of the previously unpopular, yet highly profitable, in-game microtransactions that many companies in the gaming industry have adopted to squeeze out more money from users. Backlash among families across Chicago has arisen, and many hope that if the city does end up instating the moneymaking policy, that it at least be funneled into funds for schools. Though Northside is the first, several other CPS schools have publicly considered adopting the service, but have chosen not to be named in this article. Students are even more insulted by the outrageous prices. The new service is rumored to cost about $29.99 per month, but Northside is considering adding purchasable add-ons which could include access to Snapchat and Facebook, a streaming package for viewing Netflix and Twitch, and a sports and entertainment package. However, the price-gouging does not end there. All Northside students accessing the internet for free will be capped at 5GB per month and will be charged $9.99 for each GB over the data cap. Teachers will also be able to use the high-speed internet and can enjoy features such as a class planner schedule sharing, automatic Scantron grading, and instant student portal updates. As the next month draws nearer, some students plan to boycott the school’s internet as a form of protest against the paid service. Students attempting to raise awareness for the issue are calling for a schoolwide “Internet Shutdown Day” where no Chromebooks will be in use over the course of a full school day. The new high-speed paid internet service may be extremely controversial among Northside students, but this may be a step in the right direction for kids to pay more attention in their classes as they may be dissuaded to operate their Chromebooks due to the data limit. Teachers view the new change as a good one because it allows for the increased productivity of students and hope that this allows for radically decreased time spent on computers during the school day. 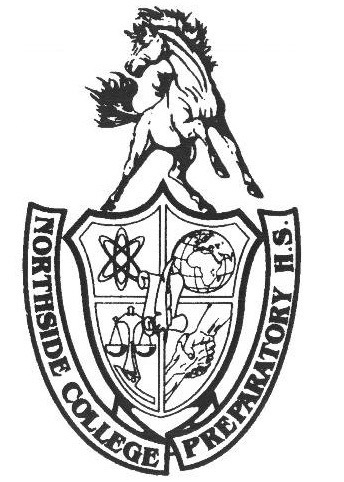 The Northside administration is uncertain at how the new policy will unfold under the student body, but remain optimistic that they will accept the adjustment.